This data package includes datasets that provide the necessary data to evaluate the Medicare Advantage system of fee-for-service payments to hospitals and practices based on the geographical location, which have associated healthcare costs that vary across different areas (metropolitan and non-metropolitan areas, counties). The datasets contain data about the adjustments indices used by Centers for Medicare and Medicaid Services (CMS) at county and state level and about the repriced reimbursements based on indices, at county and state level for aged, disabled and beneficiaries with End-Stage Renal Disease (ESRD). Useful to Medicare Advantage interested parties and public health specialists or specialized public. ; The fields descriptions along with the dataset description are useful for user to quick understand the data and the dataset. The dataset has information on the Medicare payment adjustments of geographic indices of Home Health Agency wage index for calendar years 2010-2018. The Medicare System adjusts fee for service payment rates for hospitals and practitioners according to the geographic location in which providers practice, recognizing that certain costs beyond the providers’ control vary between metropolitan and nonmetropolitan areas and also differ by region. The dataset has information on the Medicare payment adjustments of geographic indices for Inpatient Prospective Payment System (IPPS) by provider number for the fiscal years 2010-2018. The Medicare System adjusts fee for service payment rates for hospitals and practitioners according to the geographic location in which providers practice, recognizing that certain costs beyond the providers’ control vary between metropolitan and nonmetropolitan areas and also differ by region. The dataset has information on the Medicare payment adjustments of geographic indices for Inpatient Prospective Payment System (IPPS) wage index for the fiscal years 2010-2018. The Medicare System adjusts fee for service payment rates for hospitals and practitioners according to the geographic location in which providers practice, recognizing that certain costs beyond the providers’ control vary between metropolitan and nonmetropolitan areas and also differ by region. The dataset has information on the Medicare payment adjustments of Geographic Practice Cost Indices (GPCI) for calendar years 2010-2018. The Medicare System adjusts fee for service payment rates for hospitals and practitioners according to the geographic location in which providers practice, recognizing that certain costs beyond the providers’ control vary between metropolitan and nonmetropolitan areas and also differ by region. The dataset has information on the Medicare payment adjustments of Geographic Indices Skilled Nursing Facility (SNF) Wage index for the fiscal years 2010-2018. The Medicare System adjusts fee for service payment rates for hospitals and practitioners according to the geographic location in which providers practice, recognizing that certain costs beyond the providers’ control vary between metropolitan and nonmetropolitan areas and also differ by region. The dataset includes the Accountable Care Organizations (ACOs) combined data for aged and disabled beneficiaries reimbursement for part A and part B by state and county of residence for the years 2012-2016. The dataset includes the data for aged and disabled, Medicare Part A, beneficiaries reimbursement for acute inpatient hospital services by state and county of residence. The data included cover the years 2010 to 2016. The dataset includes aged and disabled beneficiaries’ reimbursement data for cost contracts for part A and part B by state and county for years 2014-2016. It also contains Medicare Fee-For-Service (FFS) data for each county by aged and disabled beneficiaries including total Medicare FFS reimbursement data for Parts A and B, reimbursement for direct graduate education (DGME) and indirect medical education (IME) expenditures and disproportionate share hospital (DSH) expenditures for Part A. The dataset includes the data for aged and disabled, Medicare Part B, beneficiaries reimbursement for Durable Medical Equipment Non-Competitive Bidding Area (Non-CBA) by state and county of residence. The data included cover the years 2010-2016. The dataset includes the data for aged and disabled, Medicare Part B, beneficiaries reimbursement for Durable Medical Equipment by state and county of residence. The data included cover the years 2010-2016. The dataset includes the data for aged and disabled, Medicare Part A and Part B, beneficiaries reimbursement for Home Health Agency (HHA) by state and county of residence. The data included cover the years 2010 to 2016. The dataset includes the data for aged and disabled, Medicare Part A and Part B, beneficiaries reimbursement for the hospice by state and county of residence. The data included cover the years 2014 to 2016. The dataset includes the data for aged and disabled, Medicare Part B, beneficiaries reimbursement for outpatient healthcare services by state and county of residence. The data included cover the years 2010 to 2016. 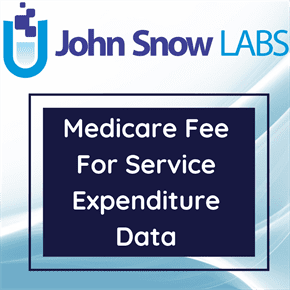 The dataset includes the data for aged and disabled, Medicare Part B, beneficiaries reimbursement for physician fee schedule (PFS) by state and county of residence. The data included cover the years 2010 to 2016. The dataset includes the data for aged and disabled, Medicare Part A and Part B, beneficiaries reimbursement for Puerto Rico by county of residence. The data included cover the years 2014 to 2016. The dataset includes data for Aged beneficiaries of Skilled Nursing Facility Reimbursement by state and county of residence. Medicare fee-for-service data for each county broken down by aged, disabled, and end-stage renal disease (ESRD) beneficiaries. The dataset includes data for Aged beneficiaries repricing adjustments to the 2010-2014 uncompensated care reimbursement by state and county of residence. Medicare Fee-For-Service (FFS) data for each county broken down by aged, disabled, and and end-stage renal disease (ESRD) beneficiaries. The dataset includes data for Aged beneficiaries for part A and part B by state and county of residence. Medicare fee-for-service data for each county broken down by aged, disabled, and end-stage renal disease (ESRD) beneficiaries. The dataset includes data for End-Stage Renal Disease (ESRD) beneficiaries or Dialysis for Part A Part B by state and county of residence. Medicare fee-for-service (FFS) data for each county broken down by aged, disabled, and ESRD beneficiaries. The dataset includes data for Disabled beneficiaries Skilled Nursing Facility Reimbursement by state and county of residence. Medicare Fee-For-Service (FFS) data for each county broken down by aged, disabled, and end-stage renal disease (ESRD) beneficiaries. The dataset includes data for disabled beneficiaries for part A and part B by state and county of residence. Medicare Fee-For-Service (FFS) data for each county broken down by aged, disabled, and end-stage renal disease (ESRD) beneficiaries.